Sedani rigati (grooved celery) whose provenance is difficult to define with certainty, they are straight cut tubes. They have a 8,3 mm diameter and are 41 mm long and have a thickness ranging between 1,23 and 1,29 mm. 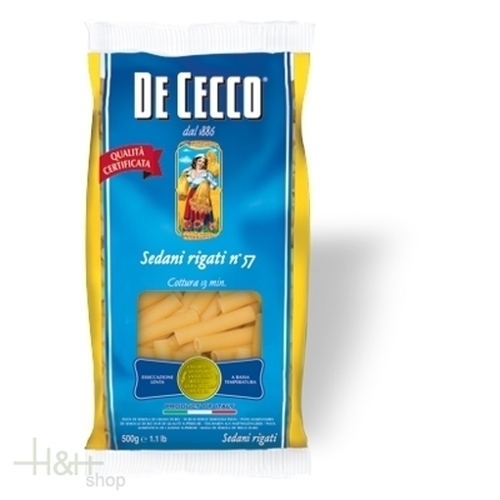 Penne Liscie 500 gr. - Pastificio Cavalieri 4,40 EUR / 8,80 €/kg. Penne Rigate 500 gr. - Pastificio Cavalieri 4,40 EUR / 8,80 €/kg.